• for you to safely & securely purchase products from the Original Beauty Limited. • to aid the confirmation of your identity for billing purposes. We do not analyse your personal information (including through the use of automated processes) in order to create a profile of your interests and preferences. If you are aged 17 or under, you must get your parent or guardian’s consent to provide your personal information to Original Beauty Limited’s website(s), otherwise you are not allowed to provide any of your personal information to us. By using the site(s), you acknowledge and agree that although the use of encryption and security features makes it highly improbable that any private information could be intercepted by any third parties, the nature of digital and Internet transmissions means there is, however small, the possibility that such an interception could take place and that information, even if encrypted could be intercepted by a third party. We will only keep your personal information for as long as necessary for the purposes for which it was collected including for the purposes of satisfying any legal, accounting, or reporting requirements. Your personal information may be disclosed to selected third party companies which will help us to process your order, to comply with our obligations, to manage and store data, to run our marketing campaigns and/or provide data analytics. These third parties will never contact you for marketing purposes and will only use the data in accordance with our instructions. The list of third parties includes i.a. An Post, MailChimp, Sage Pay, PayPal. To see a list of the third parties we work with, please contact us on info@originalbeauty.ie. We require all such third parties to treat your personal information as fully confidential and to fully comply with all applicable Data Protection and consumer legislation and regulations in place. Right to access to your personal data: you have the right to obtain information as to whether or not your personal data is being processed, and, where that is the case, access to it. To access your personal data, please contact us at info@originalbeauty.ie. Right to rectification: you have the right to rectify inaccurate personal data concerning you. To request any rectification of your personal data, please contact us at info@originalbeauty.ie. Right to erasure: you have the right to request erasure of your personal data. To request erasure of your personal data, please contact us at info@originalbeauty.ie. Right to restriction of processing: you have the right to restrict the processing of your personal data, when you indicate that the data is inaccurate, or where you have requested the deletion of your data or when you have objected to the processing of your data. To request restriction of the processing of your personal data, please contact us at info@originalbeauty.ie. Right to data portability: you have the right to receive your personal data, in a structured, commonly used and machine-readable format and have the right to ask us to transmit that data to another controller. To request portability of your data, please contact us at info@originalbeauty.ie. Right to object: where we process your data based on our legitimate interest to do so, or when processed for marketing purposes, you have the right to object. To object, please contact us at info@originalbeauty.ie. The table below is an exemplary description and explanation of the cookies we use on this website. The data we collect and record via cookies are completely anonymous. The data will never contain any of your personal details. _dc_gtm_UA-# / statistics originalbeauty.ie session Used by Google Tag Manager to control the loading of a Google Analytics script tag. statistics originalbeauty.ie 2 years Registers a unique ID that is used to generate statistical data on how the visitor uses the web site. statistics originalbeauty.ie session Registers a unique ID that is used to generate statistical data on how the visitor uses the web site. unclassified originalbeauty.ie 6 days Ensures Mailchimp automations start when you purchase an email program. marketing doubleklick.net session Used to check if the user’s browser supports cookies. Most web browsers allow you to control cookies through your browser settings. Check on your browser to get information on how to prevent or clear cookies from being created on your particular browse. To find out more about cookies and how to manage them, you may wish to visit www.allaboutcookies.org. 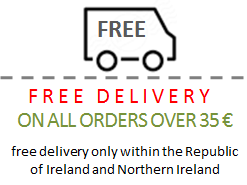 Our Cookies Policy does not cover any third party websites that are linked to Originalbeauty.ie. If you click through to these websites, they may set cookies on your computer. To understand which cookies are used by these companies and how they use your data, please read their privacy and cookies policies. We accept no responsibility or liability for these third party websites.